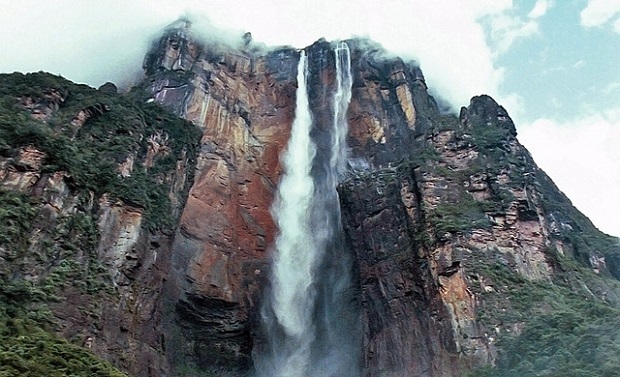 One of the most impressive natural wonders of the world is the huge drop of water or waterfall as it is called in Latin America, Angel Falls located in the Venezuela tropical limits. Deep into the green jungles of Venezuela, walking through wet forests, full of green and nature, drenched by constant radiant rivers to reach the high tropical plateau Guyana we discover one of the highest and most stunning waterfalls in the world with a height that exceeds a linear kilometer rushing from the top of Auyantepui or better known by locals as the devil’s plateau with busily cultural stories about its height and majesty. Unfortunately the best way to reach it is by plane from the capital of Caracas as going through the jungle is a hard task but not impossible. 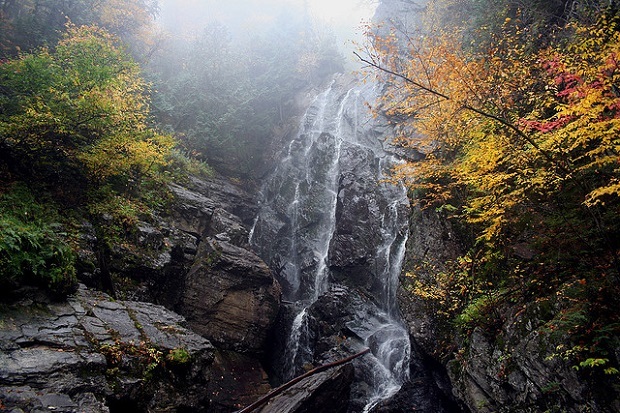 For those who like explorations and expeditions of wild tourism can hire a local guide. 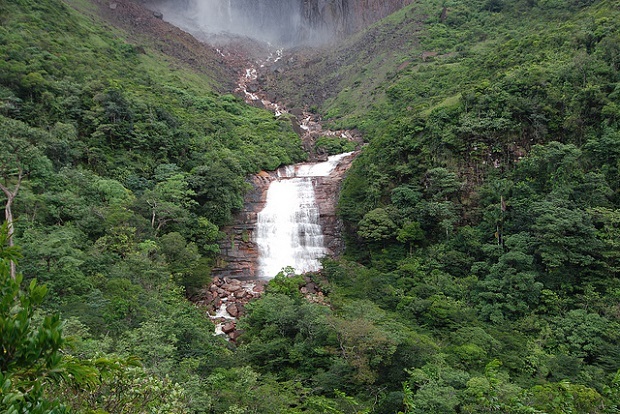 Also as always a few comments for those who enjoy adventure and Angel Falls waterfall is an ideal place for paragliding with tourist companies from the capital. 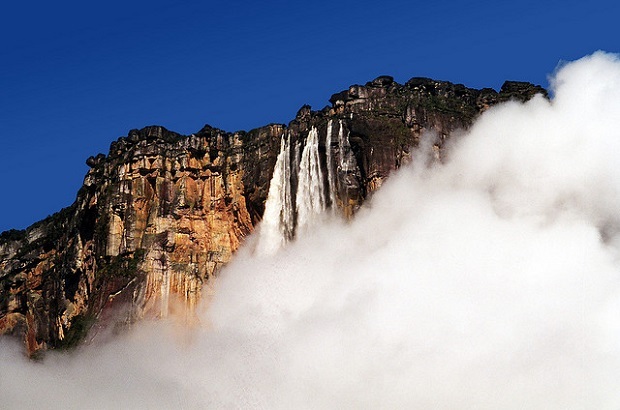 A stunning work of nature that your senses are not to miss when visiting Venezuela! 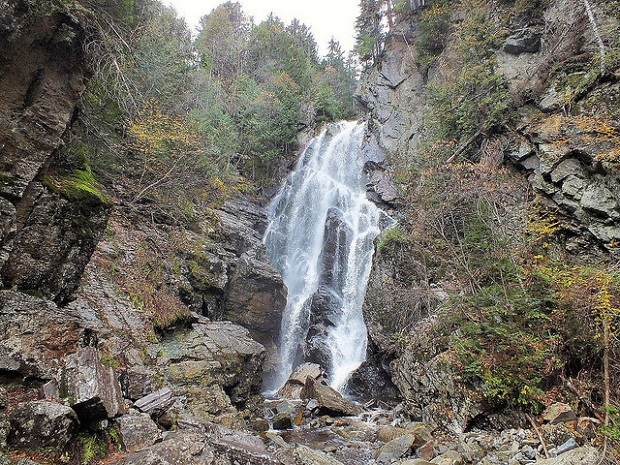 Angel Falls photos: Gosia Malochleb, Ron Gay, Adrian Shepherd, The B’s, derek Mosher.